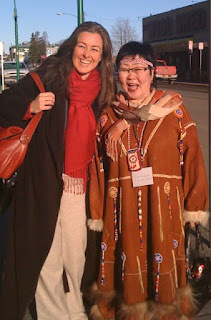 I have just returned from Anchorage, Alaska, from my attendance at the Indigenous Peoples Global Summit on Climate Change. Of the 350 million Indigenous Peoples in the world, their most senior leaders from all corners of the globe coalesced for the purpose of finalizing the Anchorage Declaration. As a Celt, technically I can claim to be an indigenous person, but for the purpose of this conference, I was there in ‘observer’ capacity only - to listen but not to be heard. This is a disempowering state to be in, it has to be conceded, and one that ultimately proved to be most instructive. What I heard over the first days was truly humbling. Stories from Asia, Africa, the Arctic, Latin America, North America, the Carribean and the Pacific of trauma, death and loss due to being the peoples at the forefront of climate change disasters. The same message came across time and again – these peoples, who tend not to be the ones generating the excess greenhouse gases, are the ones who are suffering the most. Yet these people have no say in the current international climate change negotiations. At best they are able to have what is called ‘observer ‘ status, which means they do not have an active say in the decision-making. This is despite the fact that these peoples are the ones worst affected by climate change, the ones losing their peoples, their land, their homes, their communities torn asunder. All they can do is observe those who are sitting at the negotiation table in their limited and compromised attempts to solve the problem by market led solutions. As they perceive it (and not such an inaccurate description) all this amounts to is the unsuccessful attempt to trade away the planet. They can see all too clearly that such deals are simply not working. Despite 7 years of carbon offsetting, questionable Clean Development Mechanism projects, limited roll-out of energy efficiency, much hot air vented over the need to see if we can successfully hide enormous amounts of CO2 back under the earth (CCS), and the attempts to rebrand coal as clean, greenhouse gases have escalated beyond all predictions. Reported to have hit 397ppm just this week, we have overshot greenhouse gas levels now by a long way, especially if you subscribe to climate expert and NASA Head of Goddard Institute for Space Studies James Hanson, who calls for 350ppm if we are to avoid planetary disaster. So, back to the conference in Alaska. I was lucky. Unlike the 350 million Indigenous Peoples of the world who have no voice at the Kyoto talks, I was exceptionally allowed to contribute to this conference. To do so was an honour I shall never forget. My suggestion was that the Anchorage Declaration was an opportunity for the Indigenous Peoples of the world to embed their values, values that the so-called developed world have lost sight of: values such as our interconnectedness with nature, the need to respect nature’s own laws and the need to work as one in harmony with the planet. Such values had been repeatedly referenced throughout the conference, and these values are intrinsic within their spiritual practices from all corners of the globe – from Amazonian tribal practices, to the Sami convictions and the Zulu way of life. This is a knowledge that must be brought to the so-called developed world international climate change negotiation table. I suggested that the time has come to remap the world. It’s a theme I addressed the United Nations on the 6th November 2008, when I addressed them on the need for a Universal Declaration of Planetary Rights. A world drawn on developed v’s developing countries basis is hierarchical and one based on outmoded empire way of thinking. It is restrictive, inaccurate, out of date and out of step with today’s realities. So very last century – infact, I would say it was so very 18th Century. It smacks of a time of the so-called Great Colonial Empire when slaves were simply a commodity to be traded, with no regard for consequence. We, the so called developed world, are doing the precisely the same today – only this time the commodity in question is the ecology of the planet. Time now to shift our approach and recognize that we have a world of ecological debtors and ecological creditors, and that it is time to stop those who are generating ever more outstanding debt and hold these ecological debtors to account. Ecological creditors are not countries, but communities; those who are living on the planet without despoiling it, those who are living in harmony and who understand the inherent interconnectedness with all eco-systems. The ecological debtors on the other hand are those communities who are razing the planet, seizing it’s resources without concern for the consequence of others. The world of illegal loggers, extractive industries, intensive monoculture, GMO and agrochemical corporations – these are our modern world communities of ecological debtors. If we are to be serious in our attempts to stop the further escalation of greenhouse gases, we must put a stop to these debtor practices. After all, the planet is not a bank – there is no overdrawing facility. Just as we are witnessing an economic crisis due to a system built on the sand of borrowing with no pay-back, so now we are seeing the consequences of taking from the planet without recourse. The Anchorage Declaration is a hugely important document. It is a positioning of those peoples who are affected most by climate change to demand a role as participants within the international climate change decision-making fora. I for one wholeheartedly support this move and call on them to stand strong with Unity. But it is not just the Elders who spoke at the conference. 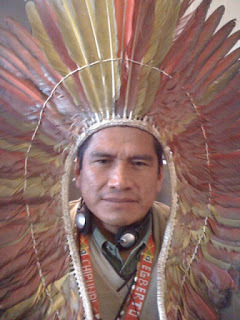 The youth voice of the Indigenous Peoples is particularly strong. They do not broker with compromise - after all it is the youth that have to live with the evolving world. Their strength is in their ability to ensure that compromise does not happen. We can learn from the indigenous wisdom and values – indigenous peoples understand the inherent rights of the planet, and I am delighted to hear support for a Universal Declaration of Planetary Rights. On 22nd April Evo Morales, the first indigenous president in Bolivia's history, told the UN General Assembly that people cannot put their interests above those of the Earth. "Not just human beings have rights, but the planet has rights," he said. "What's happening with climate change is that the rights of Mother Earth are not being respected." The remapping of the planet has now begun. 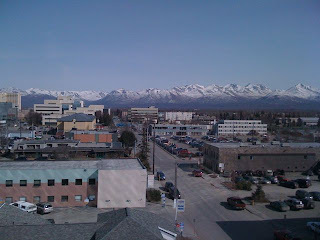 Webcast of Indigenous Peoples Global Summit on Climate Change, Anchorage, Alaska, April 20 - 24 2009.